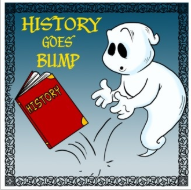 This year each of our hosts has selected a specific episode from a history podcast other than our own to share with you. We hope this list (and our stated reasons for choosing them) will result in you experiencing some new, exciting podcasts, because today is all about celebrating the medium and helping each other discover even more podcasts to love. "Is it really a surprise that I would be a fan of a show that has 11 episodes dedicated to haunted cemeteries? Of course not. Join hosts Diane and Denise and their guests as they lead you around haunted cemeteries across not only the United States but Europe, too!" 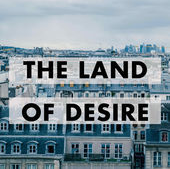 "The Land of Desire's host, Diana, clearly loves all things French and so do I, so of course I was drawn to this podcast. All of her episodes are compact and well-researched, but this one is particularly appealing. In it, she draws the curtain back on France's much-lauded Belle Epoque (late 1800s-early 1900s) and explores the complicated and sometimes sordid lives of two women of the period. In doing so, she shows that ballerinas were more than just models for Degas paintings, and ventures to bring the life of the French prostitute to light. This is a wonderful, engaging episode perfect for showing the difference between pure nostalgia and complex reality." "Several years ago, when Richard III's body was discovered and re-interred, I happened upon Chris Skidmore, then-Member of Parliament and historian, and a couple of episodes he did for the excellent History Extra podcast. Skidmore's description of how he's worked closely with archival sources like household accounts is one of the best discussions of what the nitty-gritty work of the discipline of History is like." 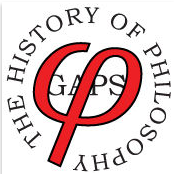 "This podcast presents complex ideas engagingly, and shows both unexpected intersections between subjects, and excitingly broad networks of people and ideas in the medieval world and our own. Also, both the host and the guest, Monica Green, model not only great enthusiasm and expertise, but willingness (and indeed eagerness!) to learn from each other. This is, for me, a vital part of the scholarly life, that runs directly counter to the popular stereotype of stuffy, ego-driven academics." "This episode really speaks to me because one of my family's traditions when I was growing up was getting PEZ in our stockings at Christmas and it was so exciting to see what we got each year. It never occurred to me to think about the history of PEZ and I was surprised to discover what a rich history the candy has. I also enjoy host Emily Prokop’s voice. She is really easy to listen to, which makes listening even more of a pleasure." "When I'm teaching history classes, the topics that interest me the most are those stories about daily life that make me think about how much human experience has changed. I love reading about clothing styles, or how people ate, or what rituals went along with major life changes. This is why I loved "The Forum" podcast -- from BBC -- on how people told time throughout history. In a very engaging style of story-telling, this podcast tells us about ways of tracking the passage of time and how it affected religious belief, farming seasons, nightly sleep, and daily life. I hope you enjoy it as much as I did!" ​Listen to this episode here: Telling the Time: From Sundials to Satnav.